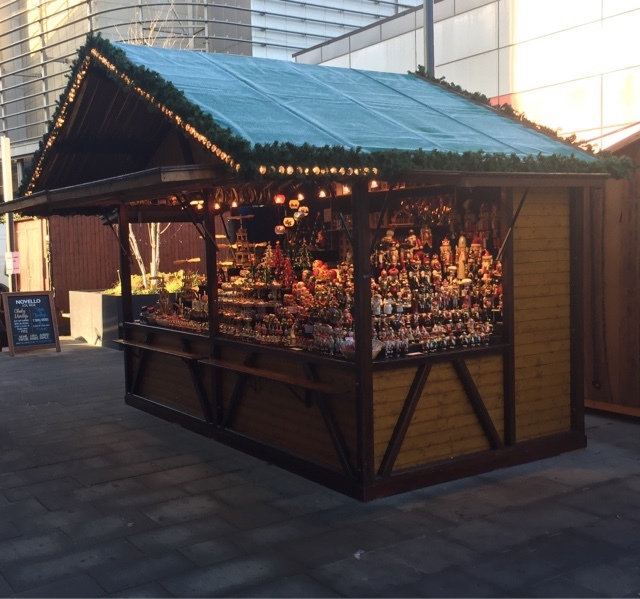 The other week we took a trip to the Telford European Christmas Market. When we got there they were still setting up, but it gave up an opportunity to have a good nose around the stalls without too much bother. Similar to the Birmingham Market we visited the previous week, there are plenty of stalls selling various wares, from Christmas decorations to foodstuffs to household ornaments. 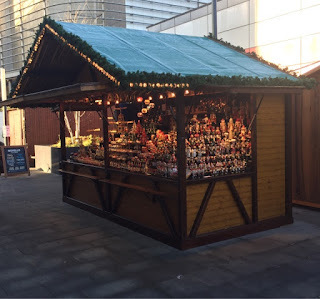 There were also a number of outlets selling a variety of hot meals, local burgers, waffles and bratwurst, there is also a large bar at the far end of the market. 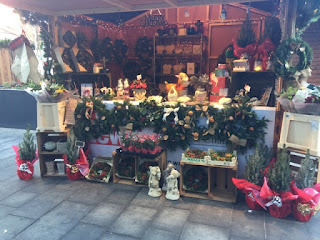 One thing that I did like at the Telford Market, is there were no duplicated stalls - which was a bugbear in Birmingham. Well worth a visit if you're in the area, although nowhere near as big as the Birmingham Market, it's not without charm and it was nice to walk around and look at everything on offer. Also as an added bonus at the market (I'm not sure if it's there for the duration), there is a Ferris wheel near the bar - possibly a recipe for a disaster or a great snapchat story waiting to happen!